It is pretty easy to find nautical flip flops during the summer (stay tuned for a post on my favorite ones next week) but sandals are a bit tougher to find. 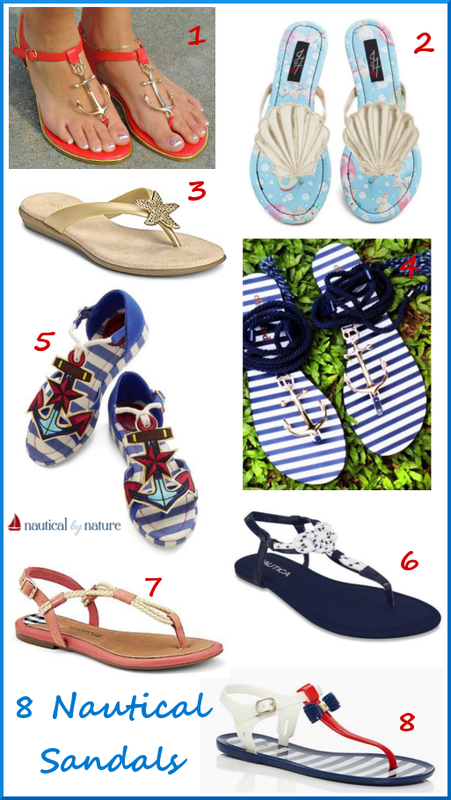 Here are eight nautical sandals that will be perfect for this summer! There is a great shoe that is nautical--Clarks Yacht Flash in Navy. Those are really cute! I just googled them. Do they come in a flat sandal too? I love the fourth pair!